Compatible HP Colour LaserJet 128A rainbow bundle value pack of printer toner cartridges. 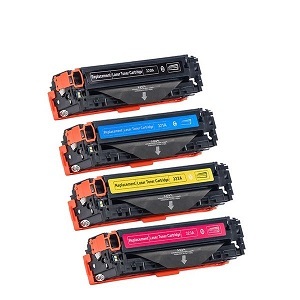 A set, one (1) each of Compatible Black, Cyan, Yellow and Magenta (ce320a, ce321a, ce322a, ce323a) toner cartridges. 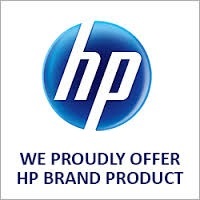 Manufacturer and print quality guaranteed for HP Colour Laserjet pro, mfp, CM1415, CM1415fn, CM1415fnw, CP1525, CP1525n, CP1525nw, printers. The compatible HP Colour LaserJet 128A rainbow bundle value pack of toner cartridges is ideal for budget friendly printing. Each compatible HP 128A compatible toner cartridge dispenses a fine toner formulation to make sure you get solid graphics and super fine text and with the same page yields as HP new toner supplies, 2,000 Black and 1,300 per colour cartridge Cyan, Magenta Yellow 1,300 per cartridge.